Texas quarterback Shane Buechele proved himself to be the ultimate teammate last season when he quietly stepped aside for Sam Ehlinger. 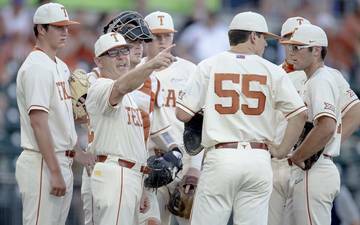 They had alternated back and forth in 2017, but Ehlinger won the job outright last August and led the Longhorns to a 10-win season. Through it all, Buechele stayed ready, swapping a helmet for headphones. He never asked to redshirt. 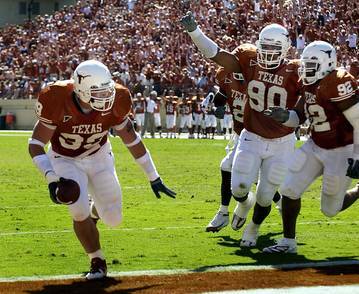 He played in two games and led Texas to a victory over Baylor. “I really do believe in Shane Buechele and everything he brings to the table,” UT coach Tom Herman said afterward. Ehlinger is UT’s starter going forward, but Buechele still wants to play. 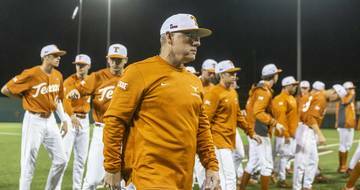 The junior announced Thursday he will finish his sports management degree at Texas this spring and then transfer to SMU, long rumored a possible destination for the Arlington Lamar product. 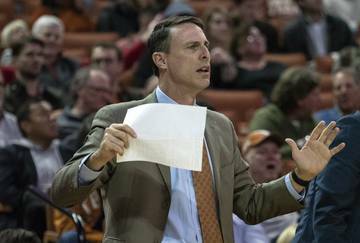 By NCAA rule, SMU officials cannot comment on Buechele until he signs scholarship paperwork. 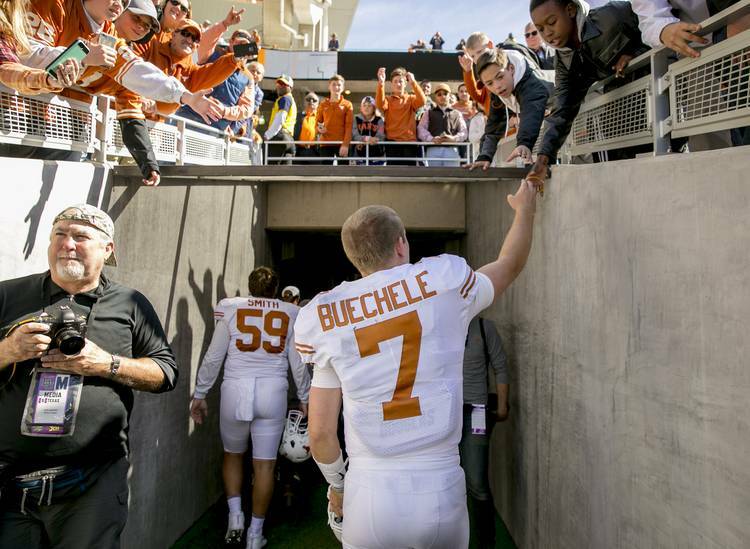 As long as Buechele finishes his UT degree, he can transfer anywhere and play immediately. He purposely loaded up on classes this spring to get across the graduation stage. “Love you bro! 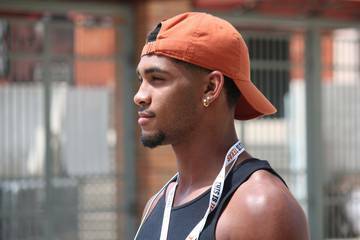 I’m proud of you and wishing you nothing but success!,” UT receiver Collin Johnson tweeted. Buechele will have two years of eligibility remaining after redshirting in 2018 since he played less than four games. 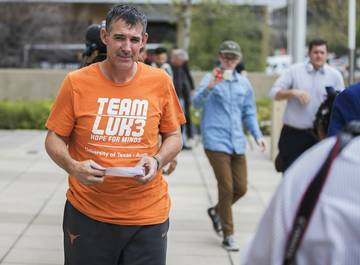 He leaves the Longhorns with a 10-9 record as a starter, 4,636 career passing yards, 30 touchdowns, 16 interceptions and a .622 completion percentage. 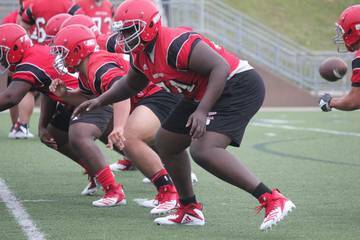 He took a beating his freshman season in 2016 for former coach Charlie Strong. The Longhorns went 5-7 but Buechele started every game and almost threw for 3,000 yards. He was the school’s first freshman starter since Bobby Layne in 1944. Buechele suffered a bruised throwing shoulder in the 2017 season opener and ended the year with a torn abductor injury suffered during the Texas Bowl. 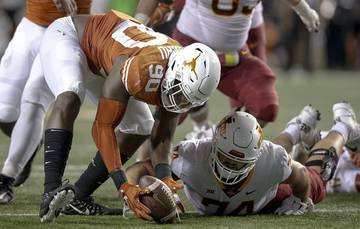 He started seven games while Ehlinger, then a freshman, started the other six. This past season, Ehlinger moved past Buechele and became the clear-cut starter. While Herman trusted Buechele, the coach still wouldn’t bump Ehlinger out of the starting position after two fourth-quarter interceptions in the opening loss at Maryland. 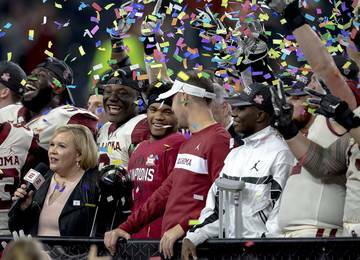 Ehlinger started the rest of the season and led Texas to the Sugar Bowl. School officials confirmed on Jan. 17 that Buechele had put his name into the NCAA transfer database. 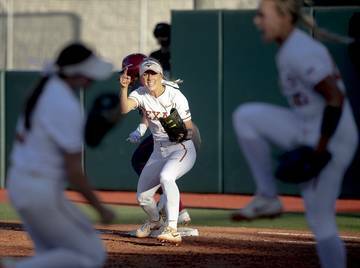 “During the time I have spent at the University of Texas I have made lifelong friends and unbelievable memories that have shaped me into the person I am today,” Buechele wrote. “First, I would like to thank God for guiding me through this journey. I would also like to thank my teammates for always having my back throughout the past three years on and off the field. At the holiday break, it was thought Buechele would still participate in spring drills. Herman said he and Buechele spoke and the two would “play it by ear.” But as the first week of the offseason unfolded, Buechele had a change of heart.